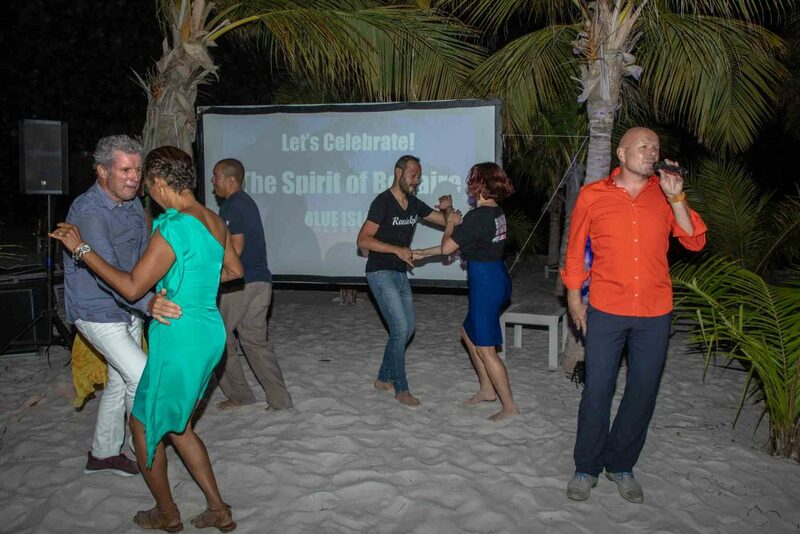 Friday night August 31th a group of artists united under the name “Blue Island Collective” presented their charity song and video “The Spirit of Bonaire” at Delfins Beach Resort to the press, media and stakeholders. The proceeds of the track go to the Bonaire Youth Outreach Foundation (BYOF) to help the youth of Bonaire. 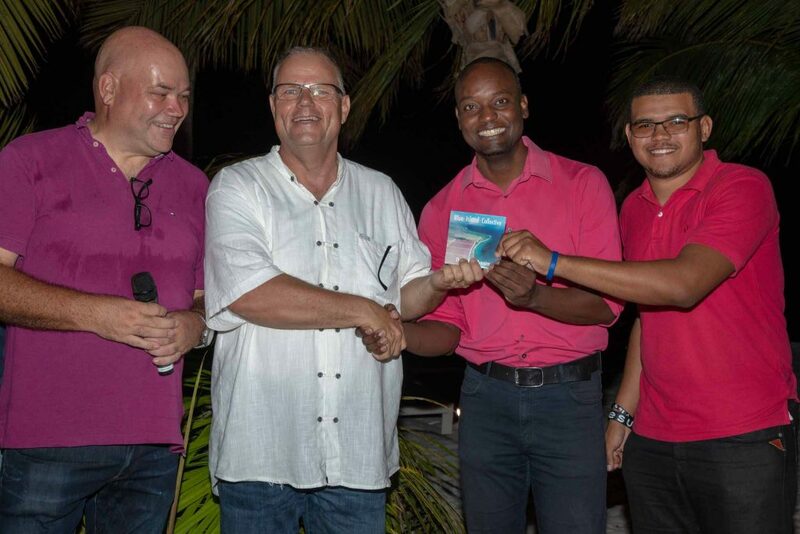 Initiator Eric Gietman explained in his opening-speech that the name Blue Island Collective was chosen to reflect the band’s strong belief that the Blue Destination strategy of Bonaire is very promising for the sustainable development of the Island. It is exactly this ‘Spirit of Bonaire’ that inspired the band to come to a heartwarming decision. With a lot of time, energy and money invested in the project, unanimously it was decided that all the sale revenues should be donated to help the future of Bonaire through its youth. 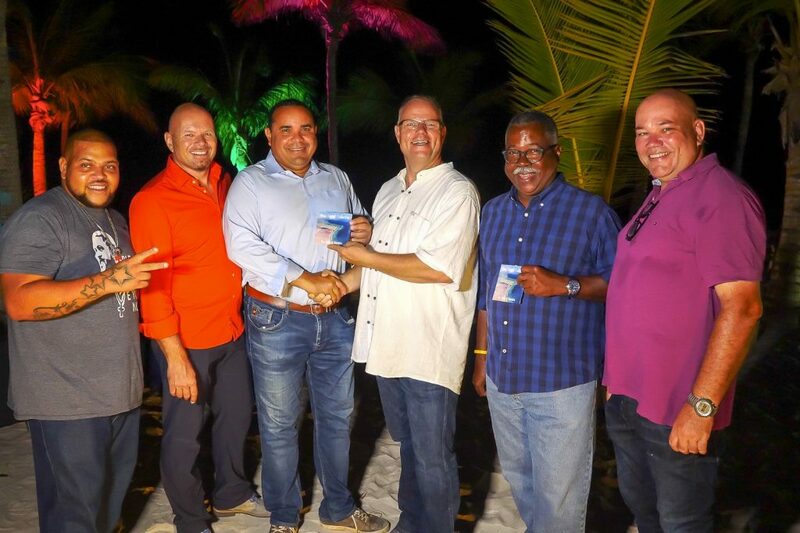 The Bonaire Youth Outreach Foundation (BYOF) was chosen to receive the proceeds of the sales, because of its impressive track record of giving help and opportunities to develop the local youth for many years. Through the four years the final product took shape, a lot of local and international musicians joined this creative and bonding project. They all gave the best of their talents to this energetic salsa-track with uplifting lyrics. Bonairean drummer Gaby Mercera played the Bonairean ‘wiri’ and young but multi-talented Robert Felida took care of diverse instruments like bass guitar, pianos and timbales. Local rapper Gerald Martines wrote and performed an awesome signature Papiamentu rap-break. With this The Blue Island Collective has grown into an international band with solid Bonairean roots. After the presentation of the music-video and a live performance of the song by TAFKAH and Gerald Martines, BYOF representative Dennis Martinus expressed his gratitude for the donation. The MC of the evening David Rietveld reminded everyone to please buy the CD, because when you buy the CD, you support the youth of Bonaire! The CD is now available in the shops around the Island and also digitally on iTunes, Amazon and Spotify. More information and free ringtones on www.TheSpiritofBonaire.com. Like us on Facebook & Instagram: Spirit of Bonaire.